I have to say I cannot love a polish more than I love Urban Outfitters Westside. 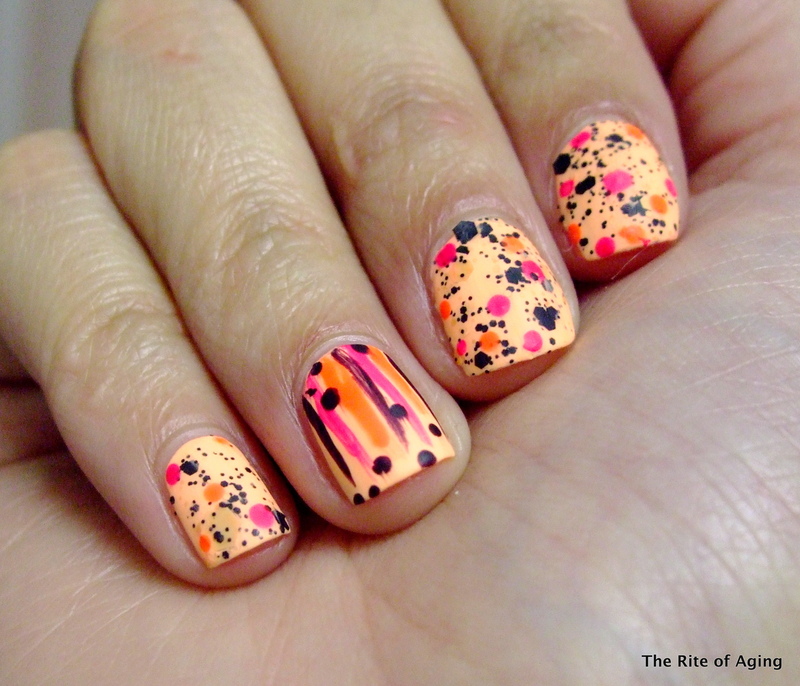 I wear it regularly and I love nail art-ing (is that word?) with it. I just adore this polish! 3 coats of Urban Outfitters Westside as my base. I used Formula X for Sephora Blasted? (I cannot find the bottle so I’m making wild guess; is the black and orange glitter topper). I detailed with Color Club Wham! Pow!, Warhol, and OPI Lincoln Park After Dark. I used a generous coat of Essie Matte About You on top.